For the past few months I’ve been working with Berklee to help produce the Greenway series in downtown Boston. The goal of this series is not only to showcase some of Berklee’s most talented and original artists, but to reach out to the community and give back to Boston. I’ve had the pleasure of working with the Greenway staff and can’t thank them enough for all their dedication and support. Also, I’ve had the opportunity to sample each of the different food trucks that are at each show. It’s hard work, but I’ll manage. 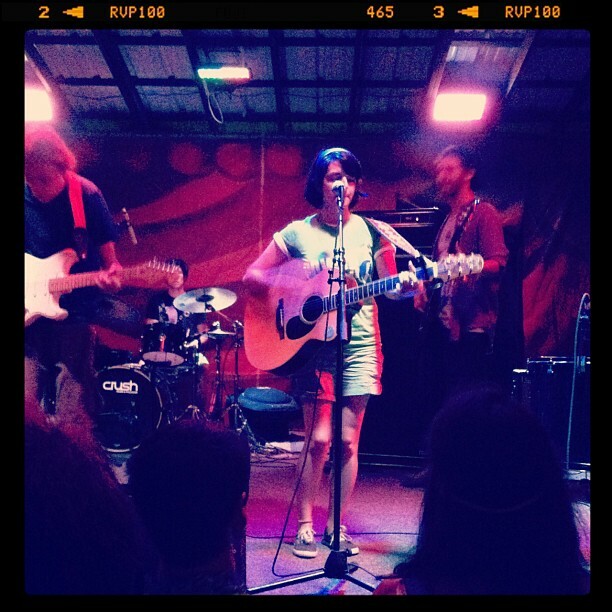 Andrea Belanger, bandleader of The Blind Woods, discusses the groups recent trip to Bonnaroo 2012. We cruised through general admission camping handing out hundreds of our beautiful Blind Wood’s stickers, getting the Bonnaroo buzz going right away! Before our tents were even up Ricky and Ryan were on top of the RV jamming and drawing a crowd.